We need your input for future issues. Would you please take a few moments to complete our survey. Your responses will help to shape future issues of the IJPHA. 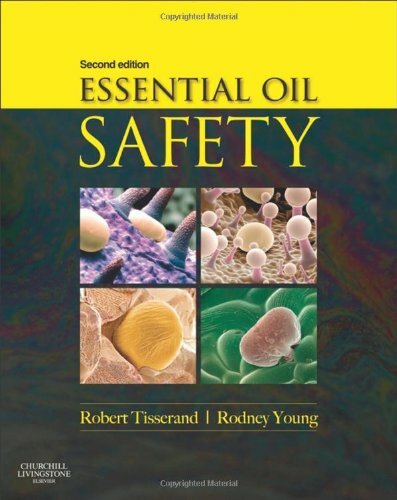 The IJPHA aims to provide the reader with informative articles highlighting the practical application of essential oils and to provide a showcase for practitioner case studies. 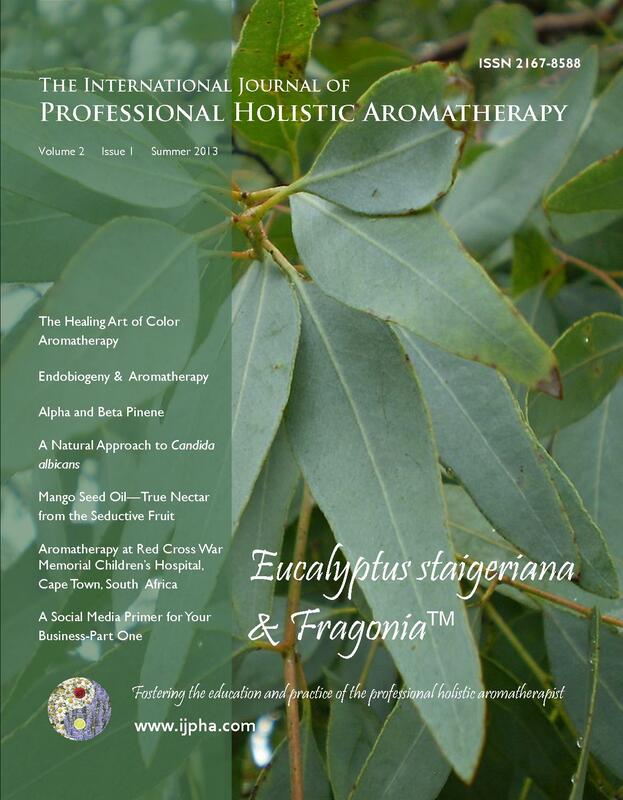 Each quarterly issue contains articles and/or tips on how to build and maintain a thriving successful business; recipes utilizing essential oils in cooking, therapeutic blends, and/or personal care products; and news and current information on issues relevant to the field of aromatherapy and holistic health care. The professional holistic aromatherapist assesses the client’s needs physically, mentally, emotionally and spiritually. 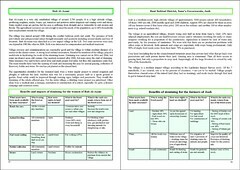 Addressing the clients needs goes beyond the use of essential oils alone and may include herbs, homeopathic remedies, flower essences, supplements and advice on nutrition, exercise and techniques for improved relaxation to address the client’s body, mind and spirit. When necessary, a practitioner may make recommendations to a client to seek complementary care from another provider or to seek advice from an integrative practitioner. The IJPHA strives to provide information and resources with regard to integrative and complementary healthcare methods, as well as additional “tools” for the professional holistic aromatherapist. Are you using both Pinterest and Facebook? If so, this business tip is for you! Pinvolve provides tools that let you (and your fans) share your Facebook picture posts on Pinterest, and include your Pinterest pins on your Facebook profile! The Pinvolve app creates a new area on your Facebook page showing all your Facebook photo posts in a beautiful and appealing display. Your Facebook “likes” and the comments associated with each post will also show up. When you place your curser over an image, you are invited to pin, tweet or share the post. Click the “pin” button, and the app will post your content to your Pinterest board of choice. Click the “share” button and your pin gets posted to your Facebook profile. 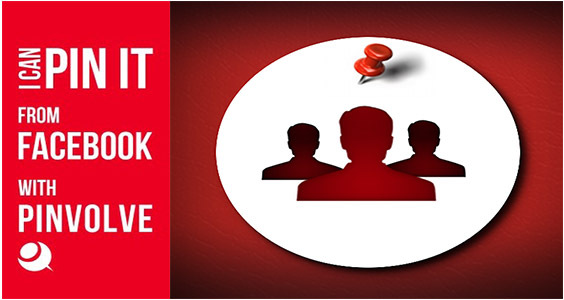 To set up Pinvolve, simply log onto your Facebook business page and use this link: http://www.pinvolve.co. Once you install the Pinvolve app, it is located on the top of your Facebook page just under your cover photo in the section called your “favorites,” where photos, “likes” and events are also located. You can visit my Aromahead Institute Facebook page to see how Pinvolve looks and functions (www.facebook.com/Aromatherapyeducation). I wrote to one of the developers of Pinvolve to ask her to share the story of developing this app. This is her story. “We are a young startup company and we started working together in February 2012. Our main project is actually a collage iPad app that lets you create amazing collages from your Pinterest images, called Bazaart (http://www.bazaart.me/). While we were setting up and starting our social media accounts for Bazaart, we felt the pain of managing the marketing presence on multiple channels – it took a huge amount of time and we had to do so much manual syncing of our visual content! So, we decided to build Pinvolve to help relieve some of that tedious work. Pinvolve makes repinning, sharing and tweeting your Facebook and Pinterest content, directly from your Facebook fan page, easy as pie! As you see, Pinvolve started as a side project, and the initial version was built in one night! We were shocked that after two weeks of its release, Pinvolve got covered by TechCrunch, and then we realized we had something on our hands which solved not only our own problem, but is helpful to many others. One year later, we continue to work on Pinvolve, in addition to growing Bazaart, and we are super happy to be able to make people’s life a little easier. So far 32,000 page owners have installed Pinvolve and we are proud to call them “The Pinvolve Community”. By Andrea Butje, Clinical Aromatherapist for The International Journal of Professional Holistic Aromatherapy (www.ijpha.com). This article appears in the Spring 2013 issue.